According to the National Institute on Drug Abuse, Tramadol abuse has been growing worldwide and the issues with Tramadol continue to be a problem. The majority of users are in their teen years. Tramadol is a popular painkiller often said to be able to replace the more addictive opiate painkillers. Although most people believe Tramadol is not addictive, this is not true. Tramadol is less addictive than most painkillers but there is still a chance someone using it will develop a physical dependency on the drug. There are several signs of Tramadol abuse everyone should know. One of the key signs is increases in using the drug. This is a sign you have a tolerance to the Tramadol. When you become tolerant to the drug, you start using more of it to accomplish the same effect. When you start increasing your dose beyond the normal prescribed amount it is a good sign you are addicted to it. One thing doctors look for when prescribing increasing amounts of medication is whether you are taking the medication as prescribed or not. Tramadol addiction can cause personality changes. When you are addicted to Tramadol, your personality begins to change. Your life becomes about obtaining and taking the drug. Whether you are using it to treat chronic pain or you are using it for some other reason, you will start to have mood swings, get irritable, and sometimes angry, particularly when you do not have the drug. Your entire personality can change. According to the National Library of Medicine, you become moody and sometimes aggressive. This can hurt your relationships with your work, family, and friends. Tramadol use can cause serious social and physical consequences. These can have long term effects on your life. Continuing to use the drug despite knowing the addiction potential and the negative consequences is a serious symptom of addiction. Most people who are not addicted see what is happening and choose to stop. If you see that Tramadol is becoming a problem, yet you continue to use it despite it becoming a problem, is a good sign that you are addicted to the drug. any other occasion that you cannot do the drug at. When you stop doing the social activities that you normally do because of the Tramadol, you are addicted to the drug and are letting run your life. These are the main ways people attempt to get prescriptions or get more Tramadol. Many addicts resort to these ways to satisfy their addictions. Neglecting responsibilities is a very large sign of drug addiction in general and Tramadol addiction. When you come down off the drug, you are too tired and in too much pain to do much and when you are on the drug you are suffering from its side effects. This means essentially the drug takes all of your time and will to fulfill your responsibilities. People who are addicted to Tramadol often lose their livelihood or do not pay their bills on time. They begin to neglect what they need to do in favor of having the drug. Some people who take large amounts of Tramadol suffer from blackouts. These blackouts can last hours. Having blackouts is never a good sign. The blackouts are sometimes in the form of losing time either while sleeping, watching television, or just staring off into space. If you are losing time because of the drug you are most likely suffering from addiction. When someone asks about your Tramadol use, you might find yourself getting defensive about it. People who are not addicted are generally unconcerned about their use. They do not worry about answering questions about using it. Most people who are addicted to Tramadol are evasive or defensive about how much they are using and when. One of the symptoms of Tramadol withdrawal is increased pain when you stop taking it. There are two reasons why doctors prescribe Tramadol. One is for temporary pain and the other is for chronic pain. If you take Tramadol for a short time, the temporary pain should go away. If you take Tramadol for chronic pain, your pain should only increase slowly. Either way if you are addicted to Tramadol coming off Tramadol can make the pain much worse. One of the main symptoms of Tramadol addiction is a drastic change in habits. This change can be anything out of the ordinary. Usually the reason for this change is because of the need for the drug. Your lifestyle and habits change to accommodate acquiring and using the drug. If you are exhibiting any of these Tramadol addiction symptoms, you most likely are on your way to addiction if you are not there already. Fortunately, there is help for Tramadol addiction. You can find help by calling 800-895-1695. 10 Signs of Tramadol Addiction - As a prescription opiate, Tramadol is frequently abused. There are a variety of warning signs that can point to Tramadol addiction. Choosing Tramadol Addiction Treatment for a Loved One - Tramadol addiction treatment offers a variety of methods to help your loved one recover. Choosing Treatment for Tramadol Addiction - The type of treatment program you choose for tramadol addiction should be based on your specific needs and lifestyle. Finding Treatment for an Addiction to Tramadol - Don't go it alone - find help for Tramadol addiction today. Is there Ultram Withdrawal Treatment? - Muscle spasms, hallucinations, panic attacks, and confusion are just some of the symptoms of Ultram withdrawal. Signs and Symptoms of Tramadol Withdrawal - As frequently prescribed pain reliever, Tramadol is often abused. The symptoms of Tramadol withdrawal can be painful both physically and psychologically. Tramadol Addiction Symptoms You Should Know - If you experience any of the following symptoms, or notice them in a loved one, it's important to seek professional treatment immediately. 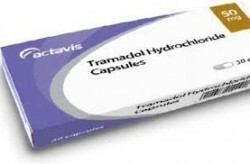 Tramadol Overdose Treatment and Recovery - Breathing difficulties, confusion, slowed heard rate, and abdominal pain are just a few of the signs of tramadol overdose. Types Of Help Available For Ultram Addiction - Ultram is an opioid pain reliever with a high potential for abuse and addiction. Luckily, there is help available to those who become addicted to Ultram. Warning Signs of Tramadol Abuse - Tramadol is a commonly prescribed painkiller, and abuse can lead to addiction. Signs of Tramadol abuse can be physical, psychological and behavioral.